For centuries, the inhabitants of the Outer Hebrides have hand woven an intricate cloth from their own wool. Originally called 'Clò-Mòr', it would come to be known as Harris Tweed. During the second half of the 19th Century, this beautiful fabric came to the attention of the wider world, when the Dunmore family took an interest in the cloth, and commissioned large quantities of Harris Tweed to sell to the aristocracy. Harris Tweed became highly popular after amongst the social elite. The Harris Tweed industry, made up of island weavers creating fine cloth from island wool, was a true cottage industry, and soon needed protection from cheap and inferior machine woven tweed. 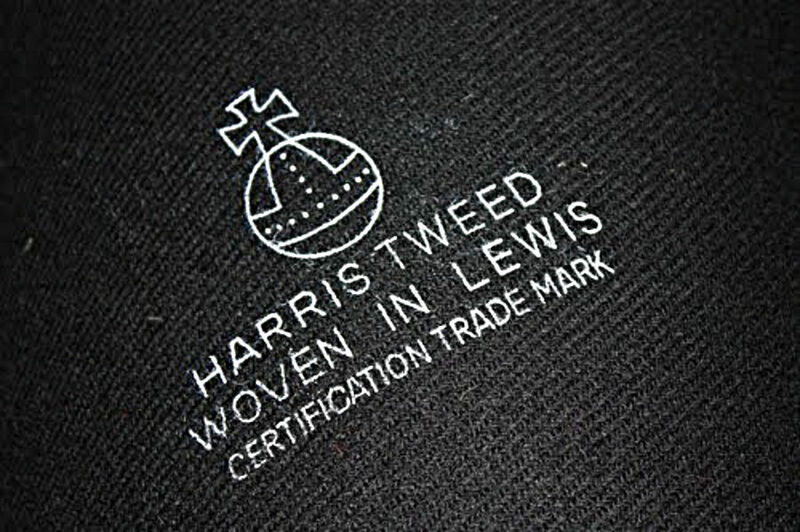 In 1909, The Harris Tweed Association Ltd was formed, and the Harris Tweed Orb and Maltese Cross trademark was registered a year later. Harris Tweed has grown in popularity worldwide, worn by celebrities and film stars as well as being favoured by Royalty. In 1993, An Act of Parliament was passed, making provision for the establishment of the Harris Tweed Authority to promote and maintain the authenticity, standard and reputation of Harris Tweed. The Harris Tweed Authority replaced the Harris Tweed Association as guardians of 'the Orb'. The Act defines Harris Tweed as "Handwoven by the islanders at their homes in the Outer Hebrides, finished in the Outer Hebrides, and made from pure virgin wool dyed and spun in the Outer Hebrides". Every fifty metres of Harris Tweed is certified for authenticity by the Harris Tweed Authority, and stamped with 'the Orb'. 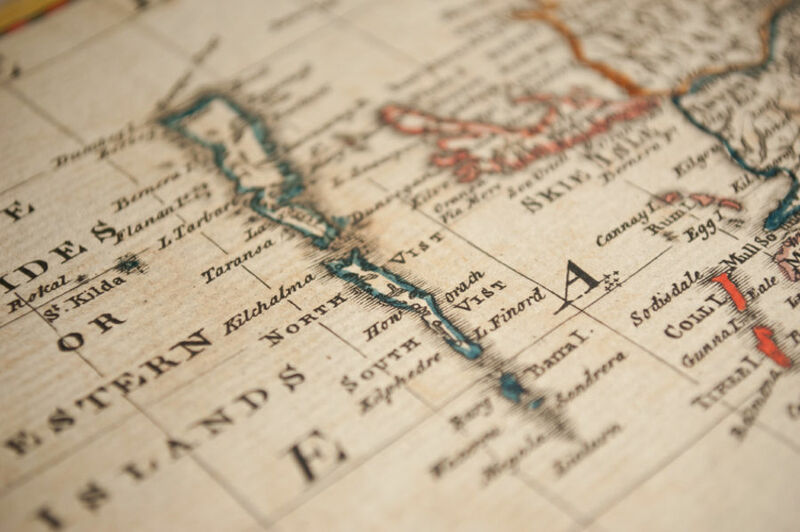 This famous and beautiful fabric, produced by island artisans in one of the remotest places in the world, remains as iconic today as it has ever been. Their Royal Highnesses the Prince of Wales and the Duchess of Cornwall visited the Harris Tweed Company Grosebay in June 2011 to celebrate the centenary of the Harris Tweed Orb trademark. Prince Charles and Camilla were each gifted with a length of tweed woven by Donald John Mackay which they personally stamped in our shop in Grosebay. 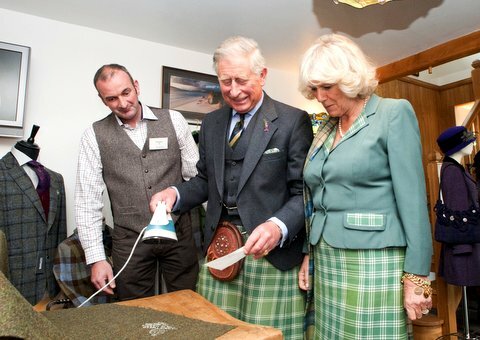 HRH Prince Charles stamps Harris Tweed with the Orb trademark in our shop.